Flash flood hit two towns of Myanmar’s Mon state at the weekend, triggered by continuous downpour, Myanmar News Agency reported Monday. 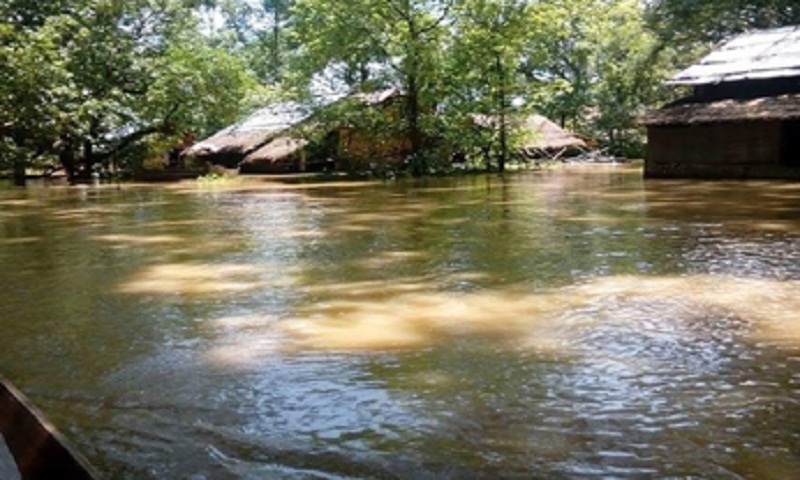 Houses were damaged by the flash flood and strong wind in Mawlamyine, the capital of the state, and Mottama. In Mawlamyine, the famous pagoda of Kyaikthalan was also hit by landslide and flood, leaving some damage to the pagoda. Flood victims are being accommodated at a temporary relief camp set up at a school and provided with food supplies, the report said, adding that arrangements are being made by the authorities to repair the damaged houses and the pagoda. At the end of May, strong cyclone storm swept across Myanmar, killing at least five people and destroying 1,400 houses. Townships in Yangon, Nay Pyi Taw, Bago, Magway, Sagaing regions, Mon, Kayin, Shan and Rakhine states were also affected by the cyclone storm with heavy rainfall.